Ecoembes is a non-profit organization, whose corporate purpose is to devise and run systems created specifically for selective collection, recovery of packaging, packaging waste and for its ulterior treatment and upgrading. This is undertaken in order to guarantee the fulfillment of the goals (recycling and valorization) regarding packaging and packaging waste. Ecoembes was found in 1996, before the Law 11/97 on packaging and packaging waste arose. The purpose of this law is the prevention and reduction of the impact that packaging is having on the environment, following European Directive 94/62/CE. It also deals with packaging waste handling throughout its life cycle and sets a series of recycling and other related objectives, in this way harmonizing standards governing the handling of packaging and packaging waste throughout the European Union. Ecoembes has currently an authorized Integrated Management System (IMS) in all Autonomous Communities of Spain. Once the Autonomous Communities authorize Ecoembes as the manager of the IMS, negotiations start leading to collaboration agreements between Ecoembes and the Autonomous Communities or with the City Councils in order to develop in each locality the selective collection of packaging and packaging waste. It is important to highlight that this model implies that only 5% of the company’s budget is spent on personnel, the other 95% being typically outsourced to external collaborators. 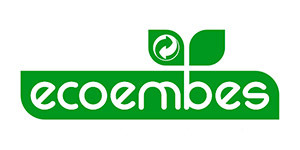 Ecoembes is part of EXPRA (Extended Producer Responsibility Alliance), a European organization composed by 19 members whose main objective is to defend the Extended Producer Responsibility for packaging waste; and also part of Pro Europe, a European organization whose mission is to defend and protect the Green Dot symbol. Furthermore, ECOEMBES has been an active partner in the following LIFE+ projects: LIFE+ 08 ENV/E/00135. Fénix – Giving Packaging a New Life and LIFE 08 ENV/E/000101.-Las Rozas por el clima.